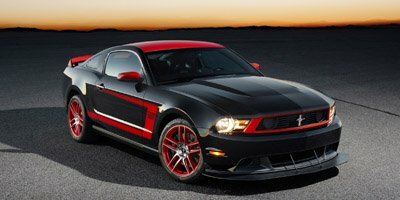 For 2012 Mustang Boss 302 owners, the Boss Track Attack program, will be serving up some fun that you just won't find on the street. Those fortunate enough to be able to own a 2012 Boss 302 Mustang are being offered a chance to explore the ragged edge of the new Mustang's performance, in a complementary race experience taking place at Miller Motorsports Park in Tooele, Utah. Whether or not you opt for the Ford Racing dealer installed 2012 Boss 302 TracKey package, which transforms the Mustang Boss to completely re-calibrated race tune, you can still enjoy the experience of the Track Attack event. This program offers owners a complete Mustang Boss 302 immersion experience where they can learn exactly what their new car is capable of, with some hands on expert instruction. While the program is completely free to Boss owners, travel and lodging is up to the participants. However, considering what they're in for, this may be a small price to pay. The night before the Track Attack, owners will, after a welcome reception, get an in depth background into what makes their Boss 302 tick and how the program came about. The event will take place at the Miller Motorsports Park, which is just outside of Salt Lake City. On this closed course, is where owners will experience the full day of instruction and driving on the track, using a combination of Mustang GT school cars and 2012 Mustang 302 vehicles. So far, specific dates have not been announced, but more information should be available early 2011.